The nearly $5 billion deal is set to close this Friday. 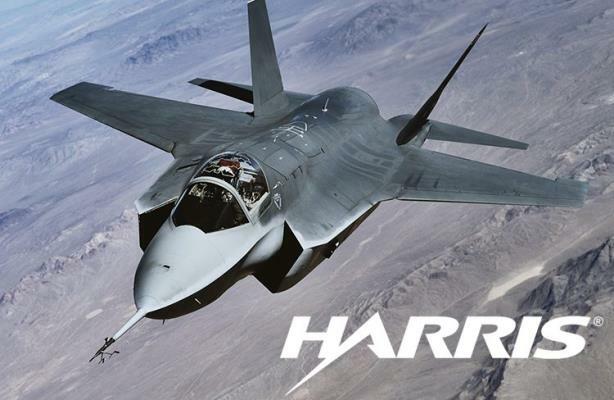 Harris designs and produces systems for 11 major subsystems of the F-35 Joint Strike Fighter. MELBOURNE, FL: Harris Corporation has hired former United Technologies VP Sandi Lee as VP of global communications amid the company’s pending acquisition of global aerospace, information, and services company Exelis. Lee stepped into the newly created role last month, reporting to Harris SVP of HR and administration Robert Duffy. She is overseeing a 14-person corporate comms function and has oversight for additional business unit marketing and communications efforts at the company. Lee’s primary focus is on leading Harris’ communications-integration efforts for the pending $4.75 billion acquisition of Exelis, which is scheduled to close this Friday. She also has responsibility for the company’s overall comms strategy, branding, PR, social media, employee comms, and customer comms. "With the combination of Harris and Exelis, there was a need for a single comms person, so [Lee] is playing that role," said Jim Burke, who is also a global comms VP at Harris. Burke's title will change to director of PR as of Friday. Lee was not immediately available for comment about her new role. Prior to joining Harris, Lee served as VP of communications for United Technologies’ UTC aerospace systems and fire and security businesses. Previously, she held communications positions at British Airways in the UK and South Africa. She worked at the airline for 10 years, according to her LinkedIn profile. With the deal set to close on Friday, media speculation has centered on the future location of the combined company’s headquarters and what members of Exelis’ executive team will be retained. Whether or not various Exelis executives, including CEO David Melcher, remain with the company could have a significant impact on the payout packages they would receive, according to the Washington Business Journal. David Albritton, Exelis VP and CCO, is exiting as the deal closes. This Friday will mark his last day at the company. "This has been a wonderful company to work for, and I have tremendous respect for everything we have accomplished over the past four years; I am looking forward to the future," Albritton said. In terms of future plans, Albritton said he is looking for another CCO job. Burke said there are no other departures or changes to the comms teams at Harris or Exelis due to the deal. After the acquisition, the combined company will have a workforce of 23,000 employees, 9,000 of whom will be high-tech engineers and scientists specializing in communications and defense systems. The company’s headquarters could move to the Washington, DC, area, but there has been an aggressive effort by state and local officials to convince Harris executives to keep its base in Melbourne, Florida. In October 2011, ITT Corporation spun off Exelis and Xylem. At the time, Albritton stepped into the CCO role at Exelis; Angela Buonocore was appointed as CCO of Xylem; and Jennifer Schiavone replaced Buonocore as ITT's global head of communications. Buonocore departed Xylem in November 2014. This story was updated to add that Burke's title will change on Friday.